Walking in the Lac Village and exploring life style of Thai People. 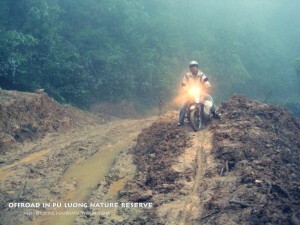 Full day Offroad in Pu Luong Nature Reserve. Enjoy Thai dancing at night. Group size: maximum 8 motorcycles, 8 – 14 people (8 riders & pillions). Leaving Hanoi in a cool morning. Group run straight toward the west, along Highway 6 in Vietnam. This is a long highway, where in the time war against the French had many cars running on street, to transport food and weapons for Dien Bien Phu battle. 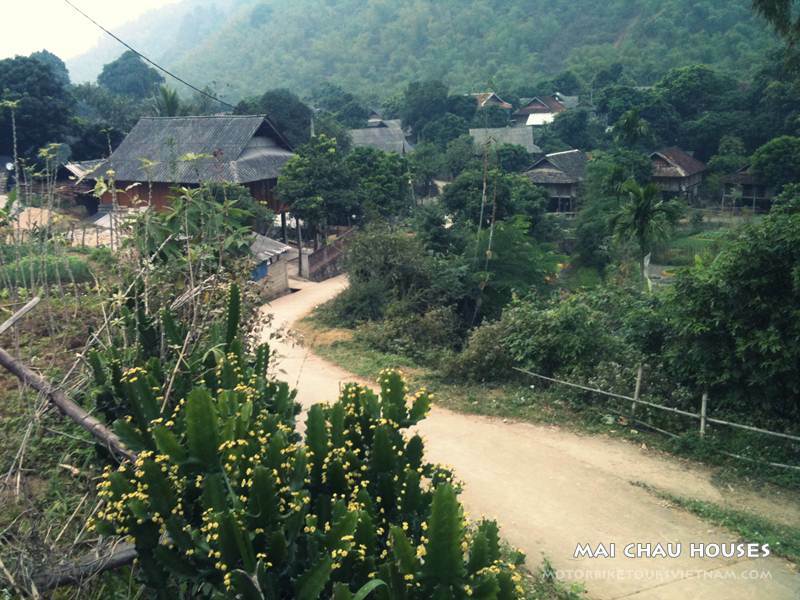 When you passed Thung Khe Pass, you can see the Mai Chau valley under your feet. Mai Chau is a district of Hoa Binh province, near the border with Laos. Mainly people here is white Thai ethnic people. We will visit the village and explore the lives of the Thai people. Staying overnight with friends of the White Thai minority in a traditional stilt house. In the evening, after feasting, we can enjoy a cultural show of Thai dancing and a range of special local liquors. Overnight in Mai Chau. Waking up early in the morning in a quiet air of the mountains, everything is almost pure; you will only hear the sounds of the countryside (crow, animal noises, or a breeze glance at window where you are). Leaving Mai Chau, the group goes to the south, into the Pu Luong Nature Reserve. Roads in the reserve ares will take you through villages, terraced fields. Weather here in the winter (from November to January) has drizzle, which will increase the challenge for the drivers. 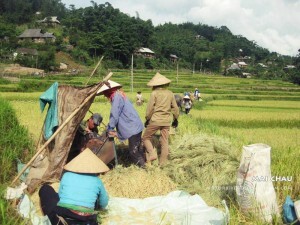 we will return to Mai Chau in late afternoon, around 6 pm. Motorcycle team will go the other ways from the first day. After passing Thung Khe Pass, we will run through the Muong village, watching the rice fields spread along the mountain slopes. Would be missing if we ignore the Ho Chi Minh trail, this is only a very small section of the trail. Currently in Ho Chi Minh trail was built almost completely, only some dirt roads in the central region. Group comes back to Hanoi around 5 pm. End of trip.